Free public events and venues. Free Comic Book Day is an annual event that will land on May 7th this year. Traditionally, it is on the first Saturday in May. On this day, comic book stores hand out specially-printed issues of comic books. Each person will get to choose a certain number of those comic books. But you only get to choose while supplies last, so be sure to get there early to snag the issues you want! Most comic book shops participate in this country-wide event, but not all. Be sure to check with your local comic shop and make sure they are participating, and check their schedule so you can be ready when they open their doors. Because each shop only lets you take a few comics, it’s best to bring some friends and family so you can all get a variety of comics. Find out the kind of comic books being offered by checking Free Comic Book Day’s official website and looking at the list of available comics. Again, these aren’t normal comics. They are specially printed comics containing special stories or preludes connecting to other comics in those series. If you want an Avengers comic that is being offered, for example, then you will have to grab the Avengers comic with the “Free Comic Book Day” logo on the cover, and not a normal Avengers comic. Keep in mind that these comics may be free for you, but the stores distributing them still have to pay for them. Be sure to thank the employees for your free comics! Now that you have them, use these tips to get ready for Free Comic Book Day on May 7, 2016! If you love comic books, be sure to give all the support you can to the event that brings together comic book fans throughout the country! Ever wanted to go to BJ’s, but you’re not sure about the whole membership thing? Well today’s your lucky day! BJ’s is currently offering a free 60-Day membership! That way, if you end up liking it, then you can get it for real. But if you don’t, then there’s no harm to your wallet. If you print out the coupon here, then you can get this deal by bringing it in to the store. You activate it by taking it to the Member Services Desk. What are you waiting for? Seriously, I mean that, because the offer ends on 12/31/15, which is less then a month from now. Gotta love those limited-time offers. Here’s a day specifically for all you pastry lovers. National Donut Day 2015 is right around the corner. This interesting event, which takes place on Friday, June 5, consists of most Donut stores around the US and Canada allowing every costumer who walks in to take one free donut of any flavor. Most donut vendors, including Krispy Kreme and Dunkin’ Donuts, are participating in this country-wide event and are offering ANY flavor of your choosing, as opposed to limited options. The only obstacle now is… which flavor do you choose? The classic glaze? The delicious filled ones? Let us know which flavors are your favorite in the comments! For more info on National Donut Day 2015, check out its official website. Free Comic Book Day 2015 is less than a week away! Each year, comic book and hobby stores around the country have contributed to an annual celebration called Free Comic Book Day. Its blunt and straightforward title describes exactly what happens: people give away free comic books. Simple. Of course, before you begin dreaming of walking out of your local comic shop with boxes of your favorite comics free of charge, I must inform you that there are limitations. First of all, you can only get three comic books per person, so choose carefully. 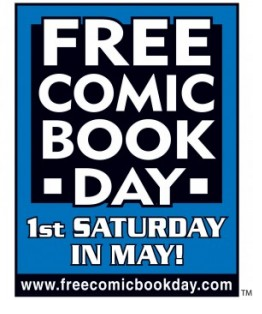 Second, there are only certain comics printed specifically for Free Comic Book Day 2015. You may recognize these by the titles “FREE COMIC BOOK DAY” that will be placed in bold letters on the top of the cover. If that isn’t obvious enough, the comics will be separated on tables set out for this occasion. 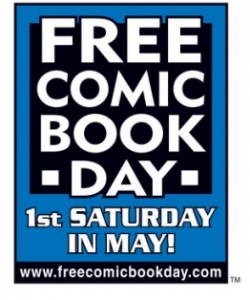 Free Comic Book Day takes place annually on the first Saturday in May, so this year it will fall on Saturday, May 2nd. 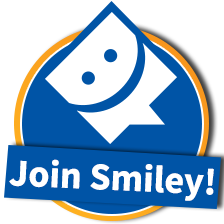 Be sure to check out the official website for all the details that I was too lazy to type down. Also, take a look at the list of all 50 comics that will be available this year, as well as some sneak peeks. Just make sure not to come to late, or else it will all be gone! Will you be waiting in line first thing in the morning? I know I will.